The Martinez Brothers & Dan Ghenacia present Disco Jam Ep ! - Track? !D. Home » Feel Privileged » Slider » The Martinez Brothers » Updates » The Martinez Brothers & Dan Ghenacia present Disco Jam Ep ! 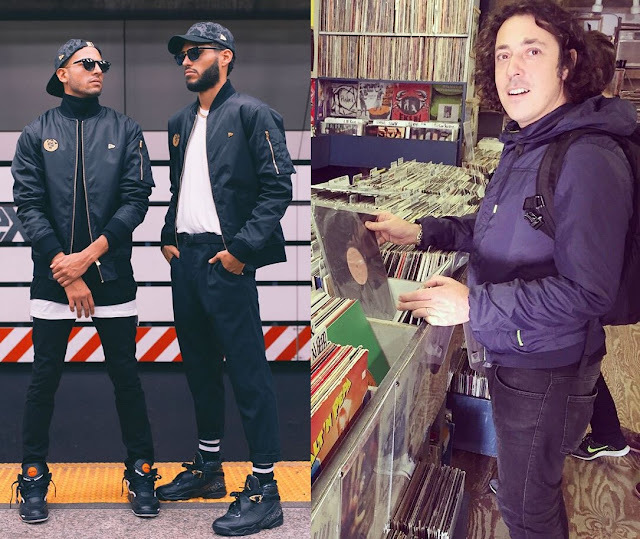 The Martinez Brothers & Dan Ghenacia present Disco Jam Ep ! Ready for some disco! Here are two psychedelic, hypnotic and downright sleazy jams from Dan Ghenacia and The Martinez Brothers. Designed to enter your mind, travel down your spine and get you movin' oh so fine, these fresh cuts from the boys have been road tested all summer long and have been approved with a 100% success rate. The result of two jam sessions in a New York studio, this is an instant classic two-track slice of vinyl'Disco Jam 1' will have your backside bouncing like a basketball going beserk; a killer groove and ultra crisp beats settings things off nicely. 'Disco Jam 2' is a more 'heads down' and moody, but also works off a seriously addictive rhythm. Two expertly produced dance floor cuts from a team of professionals, tried and tested around the globe throughout the summer season and now ready for you on a fresh slab of black gold. Catch them if you can!